From the moment you were strong enough to pull yourself up a bookcase, you knew that mankind was meant to climb. Few of us remember this in our later years but for those that do, the enjoyment is just as fulfilling as the first time you reached the cookie jar. If you truly enjoy suffering, take your hiking to a new level and stand on top of some of the most majestic mountains in the world. Most Alpine summits don't come easy but for those of us that can look past the pain and suffering long enough to summit, the moment when you stand on top is truly exhilarating! Avoid cabin fever during the long winter months and lose your winter frustrations by bashing ice or clawing at vertical rock. Experience what it feels like to be bipolar. With amazing experiences that get you into positions where only ice climbers travel, followed immediately by excruciating pain with the screaming barfies brought on by frozen hands. This love/hate relationship is tumultuous but the moments of hate are definitely worth the glorious love. The horizontal world is boring. Go vertical and never look back... or down. Experience life in a whole new dimension and live your childhood fantasies by pretending to be Spiderman. 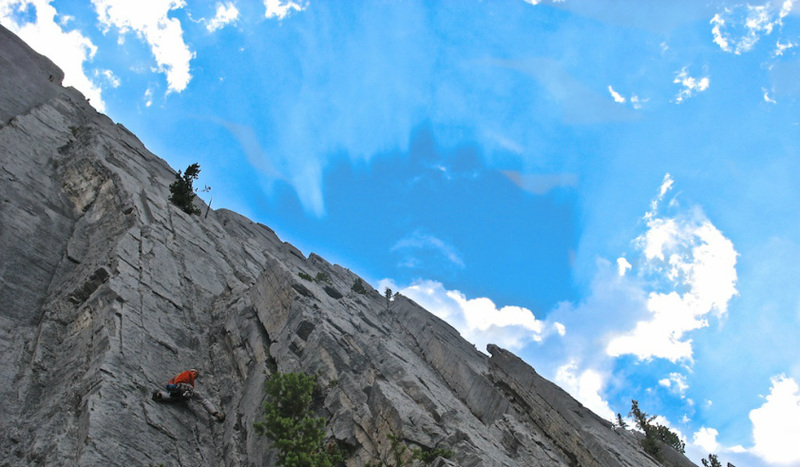 With countless climbing routes strewn throughout the area, you'll never get bored. Did your regular partner start a family and drop off the face of the earth? Find someone in the same situation.